Guy Spagnoli is a Vietnam veteran, and just like all of our service men and women, is a hero in my opinion. 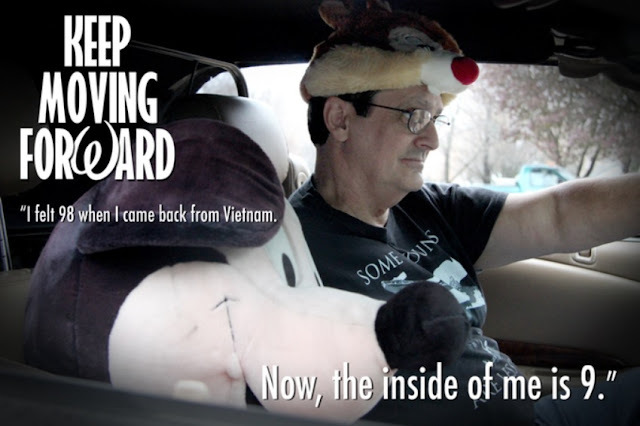 Guy is currently the subject of a documentary in production called Keep Moving Forward about his struggles with PTSD and how he uses Disney to self-medicate. I think it's an important story to be told and one we can all relate to which is why I’ve invited Guy and the producers of this heartfelt documentary, Brent and Emily on the show so that you can hear from them personally and understand why this project is so important. 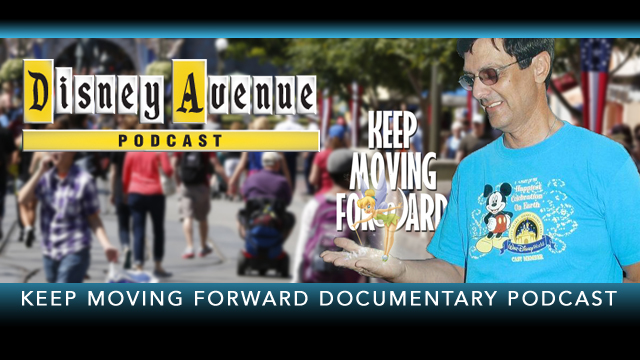 It is with great honor and respect to welcome Guy Spangnoli and the producers of the documentary Keep Moving Forward, Brent Bandemer and Emily Strong to the Disney Avenue Podcast….Enjoy! Friends, I come to you today with a very important request. The filmmakers need your help and support in order to finish this documentary and raise awareness for Veterans suffering from PTSD. I'm sure many of us can relate with Guy and his wife Laura. You may have someone you know that suffers from this condition. I ask that you please take a moment to share this campaign with a friend or, even better, consider donating to the Keep Moving Forward Kickstarter campaign so that we can see this thing through. As I said in the beginning of this article, the Disney community is filled with amazing people who love to help each other out and I truly believe that. We need those people now. We need you! Please consider helping make this project into a reality...even if it's a dollar....every bit counts. I appreciate your help and hopefully, in a few short months, we'll be watching this heartfelt documentary knowing that we really did help our veterans to "keep moving forward". The Disney Avenue Podcast would like to thank Geren Piltz and Brian Vermillion for their contributions to this show!